Around my centerpiece, I placed my dishes and glassware. 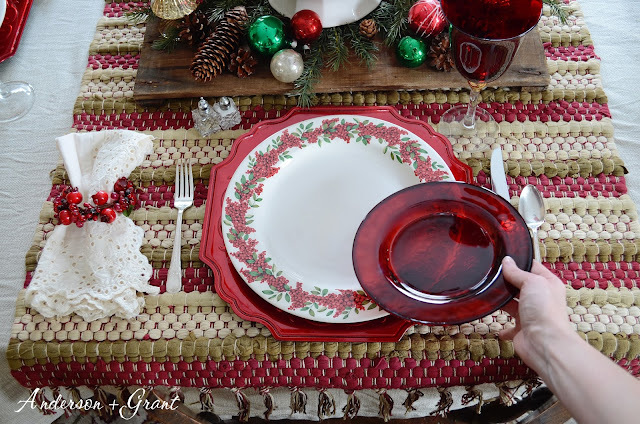 I started with a shiny red charger plate. 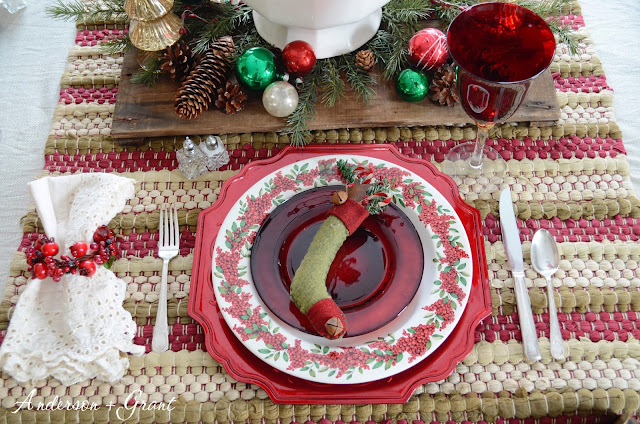 I topped that with my dinner plate, a round white plate painted with winterberries. 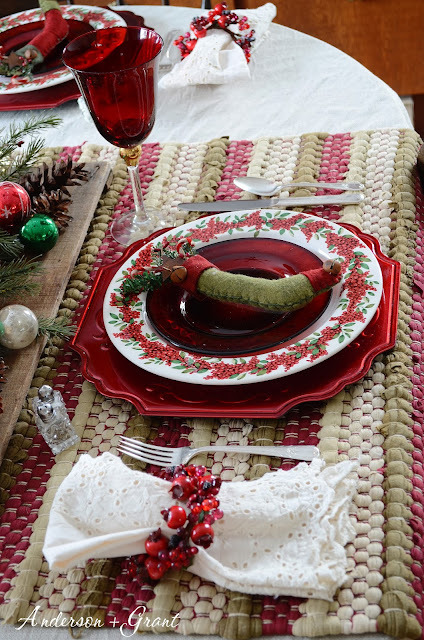 (It was made by Martha Stewart's K-Mart brand many years ago). 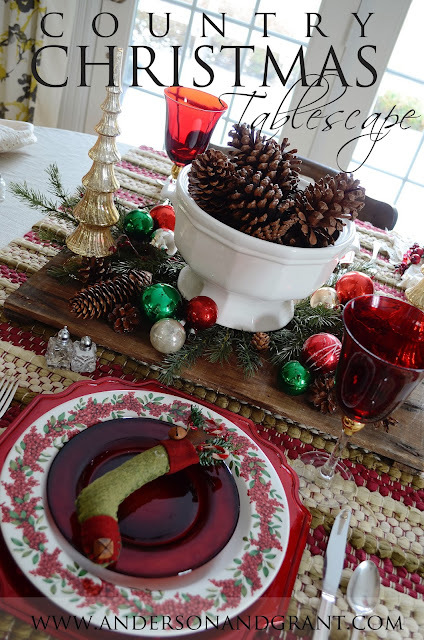 On top of that, a red glass plate perfect for your roll or a side dish. I just love layering my dishes....can you tell?!?! 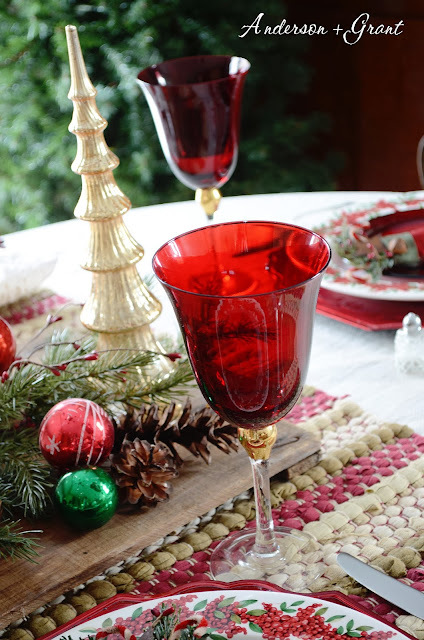 For glassware, I used a red glass goblet. 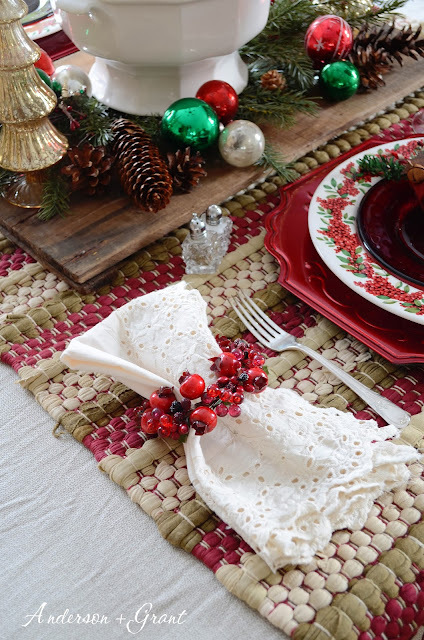 On top of each red plate, I place a tiny stocking ornament that my guests could take with them after dinner. (They are actually favors my aunt made a few years ago as favors for Christmas, so I won't ACTUALLY be sending them home with my guests!) Since I was only setting this table for four, I didn't feel the need to have placecards. 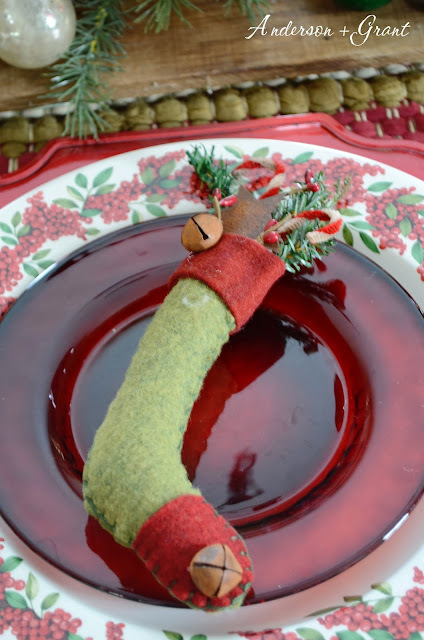 A name could easily be added to these stockings, though, to serve as a favor AND a place card! 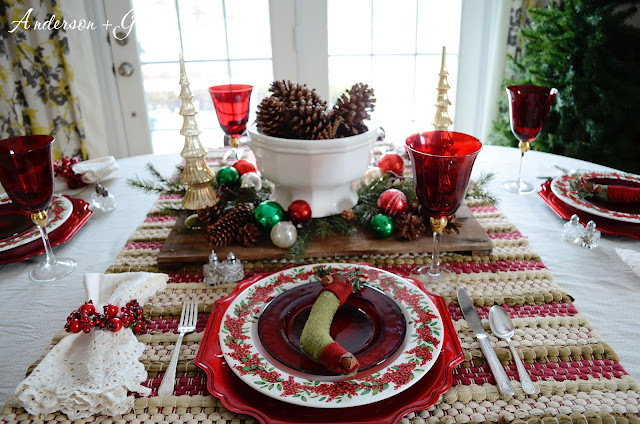 So what do you think....would you like to eat Christmas dinner at my table?